The girl points at Jamai. He leaves. Asmita tries to run after him. But e runs. Asmita couldn’t see how it was. Paro says thank you for saving my child. Asmita says let me take her home. Asmita says sit down please. Jamai comes home and tells Nevi that she saved Paro. Asmita and Shan bring Paro to hospital. Shan says why are you doing all this? She says for an innocent soul. SHan says you have a big heart. Asmita says we have to worry about Paro’s condition only right now. Mohit comes to hospital. He calls paro and is worried. Asmita and Shan are there too. He sees them and hides. Asmita wonders if SHan is the father or Mohit. Asmita sees mohit. He goes to Paro’s room. Asmita says why is he here? Mohit says paro open yuor eyes. Arohi you okay? Is our babby okay? Asmita is under the bed instead of Paro. She comes out. Asmita says so it was your baby and you were both trapping Shan? Do you have any shame? How could you not do it for your own baby? He says asmita please listen. Paro comes with the doctor. She says my baby is fine. where is shan? Asmita says why? He isn’t the father. Mohit is. Mohit comes in. Paro is shocked. Asmita says father is here. Let me go and tell Shan. They beg her not to tell anyone. Paro says please save my child. They will kill her if they find out. Beauty would kill me please. Asmita says beauty? She says get up. Mohit says please save us and our child. Paro says she wants to kill my child Asmita recalls beauty torturing her. Asmita says okay I wont tell anyone. But you can’t blame shan in all this. You are fooling him. They beg asmita to save their child. Asmita says I wont tell anyone. She comes out and says Shan didn’t do anything. 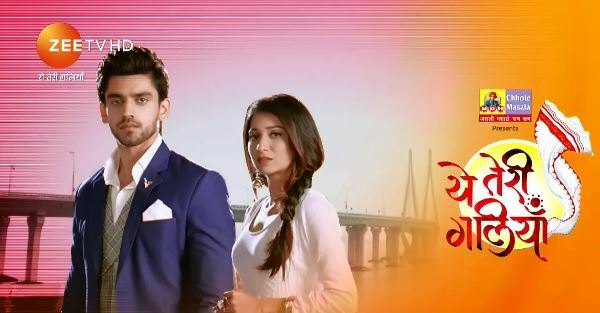 The post Yeh Teri Galiyan 27th February 2019 Written Episode Update: Asmita finds out about Mohit appeared first on Telly Updates.